With helmet clipped and elbow pads strapped, Alissa Jenkins road tests the bourgeoning downhill mountain biking scene in Canada’s biggest ski resort. While the notion of ‘ladies’ night’ is oft associated with free flutes of Champagne and high heels clunking around a dancefloor, it entails an entirely different scene at Whistler Blackcomb ski resort. Here it translates to an evening strapped into safety armor, while bounding down steep declines on a pair of wheels. Sound like a fun night out for your favourite gal pals? I’ve arrived in Whistler for the weekly GT Women’s Night to find out. 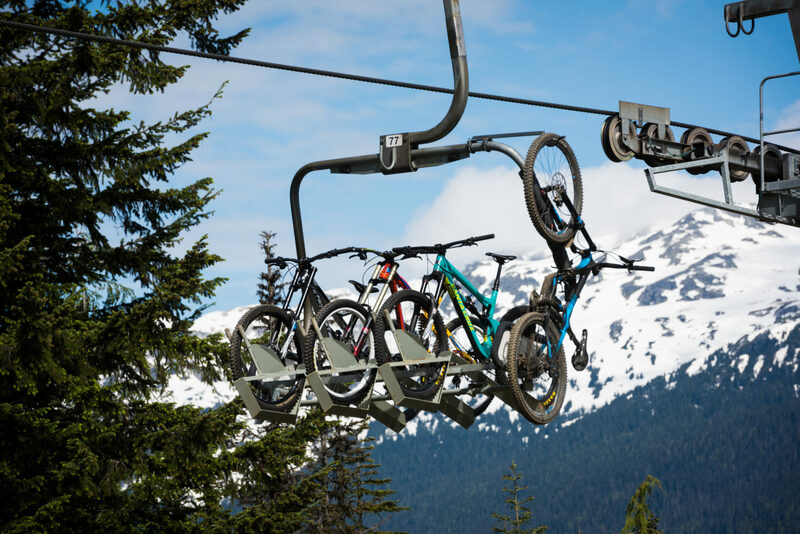 It’s summer in North America’s top-rated ski resort, which means the snow has melted away to reveal the Whistler Mountain Bike Park. 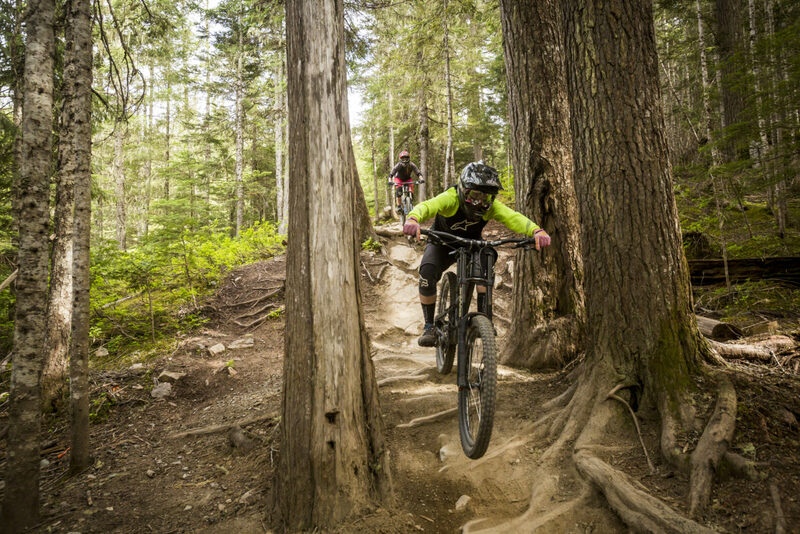 Made up of 70 biking trails that swirl through alpine forest and down the same slopes that are skied during winter, it’s regarded as the number-one lift-accessed downhill bike park in the world. While these seismic slopes and death-defying jumps tend to attract a testosterone-fueled following, there is an increasing number of women jumping on the mountain biking bandwagon here. And to encourage more to give it a go, Whistler Backcomb runs Women’s Nights – a social, pressure-free evening for like-minded ladies, with discounted packages. Right now, however, I’m feeling anything but rad. Looking up at mountain biking mavens catapulting themselves off a 10-metre high platform, my pitiful city cycling experience puts me squarely in the ‘beginner’ category. Thankfully, Women’s Night includes padding (as well as bike rental, lift ticket, and a two-hour class). Strapped and shielded from head-to-toe, Sarah, three fellow novices and I are fitted with bikes before meeting our guide for the evening, Rohan. Without the first-timer intimidation you might expect in such a male-dominated sport, it’s relaxed from the get go, with all the basic questions covered. In our initial safety briefing, Rohan shows us step-by-step how to navigate the chairlift with a bike and lock it into a secure chair of its own. A couple test runs later, we’re up and away. Reassuringly, we’re far from the only women’s group out tonight — dozens of others are ahead on the chairlift, dozens more behind us, let alone those already biking down. Below the safety rail, there are some 1500 vertical metres of descending trails within the park, which, like ski runs, range in difficulty from green runs for beginners, to blue and black diamond runs for more advanced riders. Needless to say, we’ll be sticking to the green. Watching on as pros flip and bounce below, and plucky kids pedal their hearts out, I ask Sarah just how big the female demographic is now. “Last year our ratio was about 20 per cent women, 80 per cent men. It’s a significant increase since 2007, when the ladies’ nights first began,” she explains. 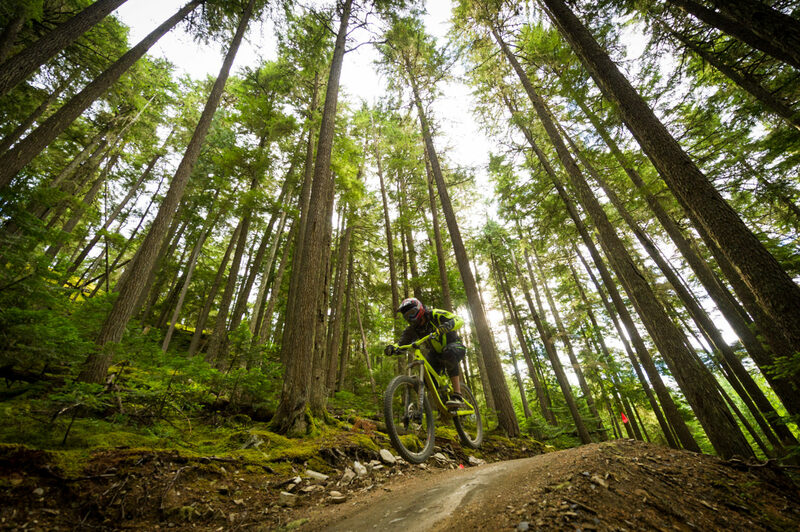 But as Sarah goes on to highlight, it’s not just the presence of women that’s grown in that time, it’s the popularity of mountain biking in Whistler as a whole, shaping the resort as a summertime destination. Once we arrive at the top of our first green run, Rohan takes us through a few more downhill biking basics, from braking (it’s easy to go over the handlebars), to perfecting our ‘attack position’ (bent knees, rear above the saddle, elbows bent), which is to be our default. As the class continues and our confidence grows, so does our speed and the bumpiness of the terrain. With childlike delight, we’re soon bouncing and bounding over roots and rocks, cheering each other on. All’s fun and games, zipping through slender tunnels and jittering over pebbles, until I come to a section of the trail that’s narrower, sharper, and rockier than what we’ve encountered. ‘Umm, how is my bike physically meant to get down this? More importantly, how am I meant to stay on it?’, I ask myself. I start to blunder my way down with a few near misses. Feeling the lactic acid accumulate in my quadriceps, this evening has involved a completely different skillset compared to riding my lowly city cruiser. As the trail widens and smooths out once again, we pick up the pace, bobbing all the way to the finish line at the foot of the peak. There we regroup with grins on our faces, grit in our teeth, and heads high on accomplishment. Yep, this is my kind of ladies’ night. 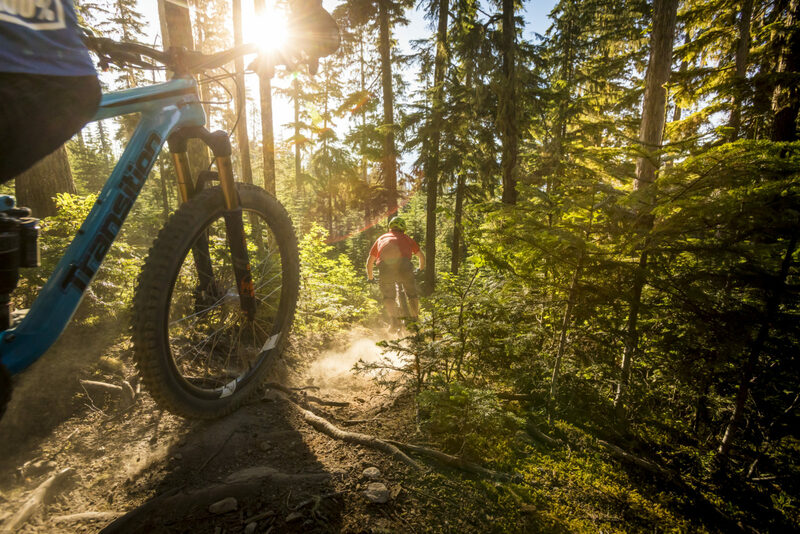 The Whistler Mountain Bike Park is open May to October, with GT Women’s Nights held Monday and Wednesday from 5.30-7.30pm. Visit the website for the most up to date information though, especially later in the season. For the full Women’s Night package, you can get bike hire and gear rental, lift ticket, guide and a two-hour class for $95 if you book more than 24 hours in advance. Wear standard active wear (e.g. sneakers, T-shirt, and yoga pants). If you prefer shorts, bring long socks so the shin pads don’t rub your skin. Also, if you own ski goggles, bring them along to keep the sun and dust out of your eyes.